Berkshire provides first-rate facilities and programs that support and enhance our students' academic, artistic, athletic and residential experiences under the Mountain. Renovated in 2011, Allen Theater is used for all-school assemblies, special events such as our All-School Read speaker series, as well as Berkshire's theater, dance and musical performances. The theater includes seating for all students, a main stage, a video and visual control booth, high-tech lighting, and a green room for performers and guests. The adjoined Allen House serves as a boys dormitory, and is also home to the Barbara Kenefick Center for Learning (KCL), WBSL Radio, and Berkshire’s film department. The building was designed by Berkshire graduate and architect, Steve Nelson ’63. The Arthur C. Chase Sugar House was built in 2001 and is home to Berkshire's Maple Syrup Corporation, which annually produces maple syrup from the sap collected from trees around campus. According to early records of the area, maple syrup was being produced on the Berkshire grounds in the mid-1700s and emerged as a school activity under legendary teacher Art Chase, who began his career here in 1937. The syrup produced at Berkshire is available for purchase through the school bookstore, but is often shared among friends over pancakes. A dramatic 48,000-square-foot academic facility that features six math classrooms, eight science classroom labs, a 100-seat teaching auditorium, department offices and Berkshire's Advanced Math/Science Research lab equipped with state-of-the-art scientific research tools, Bellas/Dixon Math and Science Center was built in 2011. In keeping with the school’s commitment to sustainability, Bellas/Dixon received a Gold certification by the Leadership in Energy and Environmental Design (LEED) Green Building Rating System. The building is sited where historic Memorial Hall once stood, and through careful design consideration, the new space clearly echoes its predecessor. The location also connects the campus center in new ways to the mountain setting to the west. Classroom terraces on that side extend learning into the landscape. These include rain gardens that teach students about the role of plantings in storm water management and infiltration. Native plantings eliminate the need for supplemental irrigation. New views up into the mountain understory connect lessons inside with life outside. The Bellas/Dixon Math and Science Center, which is named in honor of Rick Bellas and Tom Dixon, two longtime Berkshire School faculty members, was designed by Centerbrook Architects, which received the top award for Environmental Architecture in education from the 2013 Starnet Design Awards. Members of the Berkshire community are provided three meals per day— breakfast, lunch and dinner— at Benson Commons dining hall. In addition to regular meals and special events, Benson Commons hosts a weekly advisee lunch and community dinners (twice per week in the fall and once per week in the spring), Berkshire traditions that encourage relationship building through a family-style meal. Berkshire Hall, the school’s main academic building built in 1930, reopened in 2008 after a year of restoration. Sitting at the base of Mt. Everett, the nearly 40,000-square-foot building houses academic classrooms as well as the School's administrative offices, including the Head of School's. Designed by Finegold Alexander Architects (Boston, Mass. ), Berkshire Hall features large, bright classrooms and incorporates state-of-the-art technology throughout the building. In addition, Berkshire Hall features a restored Fentress Reading Room, the School’s first language lab, and the multi-purpose Great Room which includes an exterior terrace. In 2011, Berkshire Hall received the Paul E. Tsongas Award. Located on the southeastern corner of Stewart Pitch, the Dixon Observatory houses state-of-the-art equipment that gives students and teachers the opportunity to make detailed observations of both bodies within the solar system as well as deep space objects. In addition, the tracking mount and CCD camera allows students to conduct advanced astro-imaging of faint galaxies and nebulae. The flagship of the observatory is the 14” Meade LX200GPS telescope with equatorial wedge. This telescope has the ability to identify and track stars and other celestial objects across the night sky over long periods of time given an accurate polar alignment (aligning the mount with the celestial pole). This enables long exposure astrophotography, necessary for recording faint objects. Imaging is done using a Starlight Xpress-H35 B&W CCD Camera, cooled to 20deg below ambient temperature to produce high quality, low-noise images. Color pictures are obtained by combining photos taken through transparent, red, green and blue filters, as well as specialty H-Alpha and Oxygen 3 filters. The entire observatory can be remote-controlled from any location, using The SkyX Professional, which can track and display the position of everything from fast moving satellites to faint galaxies. The software interfaces with all of the various observatory hardware including: the telescope, dome, imaging and guide camera, and ancillary equipment. Having everything in one application makes control easy. The observatory also hosts a selection of high quality wide-field eyepieces and an image intensifier device that uses night-vision technology to boost the contrast and brightness of faint objects, such as nebulae and galaxies for visual observation. Other programs at the observatory include an all-sky camera, which records video of the night sky to hunt for meteors and fireballs (large, bright, fast moving meteors). This is part of larger program run by Sandia National Labs, New Mexico State University and Space Coast Intelligent Solutions, who have country-wide coverage in order to measure specifics like the speed, size and trajectory of fireballs and better understand the science behind them. The observatory and equipment were gifts of Cynthia and Tom Dixon in 2000. Tom Dixon held a number of roles during his tenure at Berkshire School from 1961-1976 and 1980-2000, including science teacher, Director of Technology and Dean of Students. He and his wife, Cynthia, a music teacher and the director of the equestrian team at Berkshire, shared a love of the arts and astronomy. Berkshire has 10 dorms, ranging in size and feel. Dorms are organized by "vertical housing," which means that every dorm has students from each grade, allowing upperclassmen to serve as role models. Faculty apartments adjoin each hall and two senior prefects provide leadership throughout life on campus. The Ed Chase '69 Ski Room was dedicated in honor of Ed Chase, who began skiing at Berkshire and later became a well-respected figure in the ski world, tuning skis for world champion alpine skiers Phil and Steve Mahre. The facility is located on the north side of Geier Library, on the ground level. The room houses the boys and girls varsity and JV alpine ski team locker rooms, and it has a large ski storage facility, equipment and video room, and a newly renovated ski tuning facility with customized tuning benches and downdraft tables. The newly renovated, 16,800-square-foot Geier Library houses an up-to-date print collection of fiction, nonfiction and reference books, as well as exceptional online resources, magazines, newspapers, journals and DVDs, providing students with the necessary resources to complete academic work and to pursue personal interests. Centrally located on campus, Geier Library has more than a dozen Mac computers with a wide range of software applications and three centrally located charging stations to help our students stay connected to the information they need. A workstation with a networked printer/copier is available for student and faculty use. In conjunction with the Information Technology Department, the library also circulates iPads, laptops, Kindles and offers noise-cancelling headphones and graphing calculators for in-library use. Originally built in 1954 as a gymnasium and later converted into a library (1983), the restored Geier Library was designed by Finegold Alexander Architects of Boston, Mass. In addition to the open, bright design, Geier Library serves as an exhibition space for student artwork and a gathering place for students to study and relax. The Jackman L. Stewart Athletic Center features two ice rinks, including one Olympic-sized sheet with an 800-seat capacity, 14 locker rooms, athletic offices, an athletic training room, meeting spaces and the Picotte Family Fitness Center. One rink converts to a field house with four tennis courts that can also be used for community-wide events. The Kennard Visual Arts Center opened in the fall of 2013 providing state-of-the-art classrooms for Berkshire extensive visual arts program, including: expansive new Studio Art and Ceramics classrooms, a new classroom for Digital Art, Digital Photography and Digital Music, a digital printing lab, a Sculpture Studio, department offices, and other support facilities. In addition, The Warren Family Gallery showcases student artwork as well as exhibits from alumni and local artists. This two-story 14,708-square-foot building houses all the visual arts programs under one roof. Award-winning Boston architectural firm Finegold Alexander & Associates worked closely with the Arts Department faculty to develop a space that not only meets current and future program needs, but also celebrates the fundamental role of the arts at Berkshire. A new music center was completed in 2011 and features two specially designed classrooms to meet the needs of the instrumental, choral, and chamber music programs. The center boasts five practice rooms, plenty of spacious storage cabinets for instruments, a recording studio, and storage and office space for the music program. The center is equipped with wireless technology, audio/visual capabilities, and new, state-of-the-art practice chairs and stands. While the jazz band room contains carpeting and acoustic shells to absorb sound, the choral and chamber music room features a hardwood floor, tall ceiling, and the right balance of sound absorbing materials needed to provide appropriate resonance for the ensembles. The jazz band room, the choral room, and a recording booth are wired to a 24-channel recording studio that allows students to prepare for college applications, provides a high-end tool for students involved in rehearsing and recording their own materials, and trains students enrolled in the Digital Music program. One other aspect of the Music Center should not be overlooked: the lounge. The lounge functions as a focal point of the music center, a mini stage for smaller performances, and a space for students to sit and discuss music and the arts. The 5,400-square foot Ritt Kellogg Mountain Center was named for Peter Rittenhouse "Ritt" Kellogg, Jr. '85, an avid climber, skier, and Outward Bound leader who passed away in an avalanche in Alaska in 1992. Located on the north side of Geier Library at ground level, the space serves as the home to the Ritt Kellogg Mountain Program (RKMP), established in 1994 to celebrate Ritt Kellogg's life. The Ritt Kellogg Mountain Center serves as a central meeting space where students and faculty can hold pre-trip meetings, sign out RKMP gear and bikes and includes a library of wilderness guides, natural history books, and area maps. The Rovensky Student Center is the hub of student life at Berkshire. The building includes Benson Commons dining hall, where students, faculty and staff gather three times a day to eat meals together, as well as Shawn's Place—a student lounge area with a ping pong table, foosball, and snack bar. The School's Music Center, post office, bookstore and laundry services are also found here. Additionally, there is an adjacent outdoor gathering space that features a large lawn, benches and a barbecue pit. The Soffer Athletic Center opened its doors in the fall of 2016 and is home to Berkshire's squash center, a facility that features 10 squash courts, training areas, locker rooms and meeting and office spaces. In addition, the 50,000 square-foot facility features two basketball and volleyball courts, a dance studio, a 25-foot climbing wall and a fully-equipped weight training area. 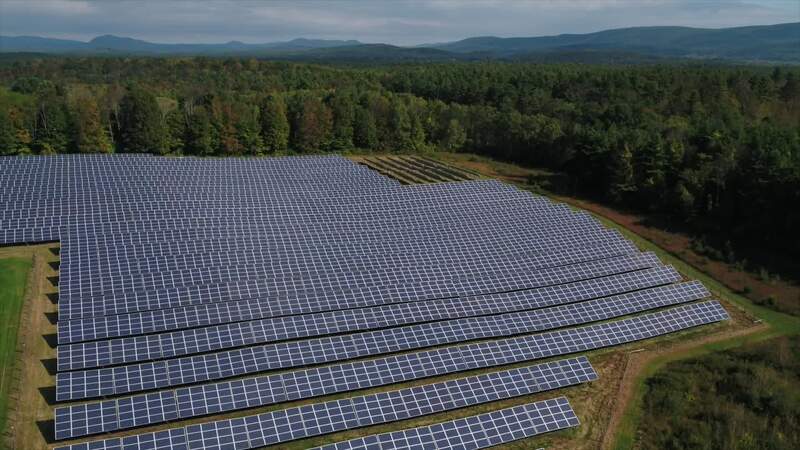 Berkshire's two-megawatt, eight-acre solar field is located on the east side of campus and produces as much as 40-percent of the School's energy supply. The solar field was part of an energy master plan developed by students in Berkshire's Sustainability Program and, in 2012, was the largest solar installation in the state of Massachusetts and the largest operating solar facility of its kind at any private secondary school in the U.S. The project developer PowerPlay Solar Development, constructed the field in collaboration with Spire Solar Systems. The privately-financed project features two different solar devices; fixed-tilt photovoltaic (PV) panels and single-axis tracking PV panels with room to add other solar demo-technologies in the future. According to PowerPlay Solar, each year Berkshire’s solar field removes nearly 2,650,000 pounds of carbon dioxide, 1,650 pounds of nitrogen oxide, and 4,400 pounds of sulfur dioxide from the atmosphere—or the equivalent use of 1.5 million pounds of coal annually. The project also features an energy investigations laboratory allowing students to analyze different solar technologies and monitor the output of the solar field per school building in terms of kilowatt hours of energy production, and pounds of carbon savings.